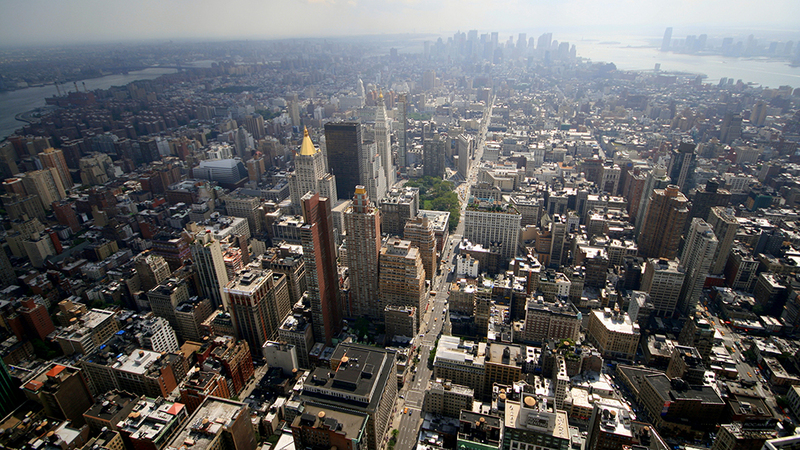 When you’re in Gotham, checking out the top New York attractions is a must, especially for the best views. 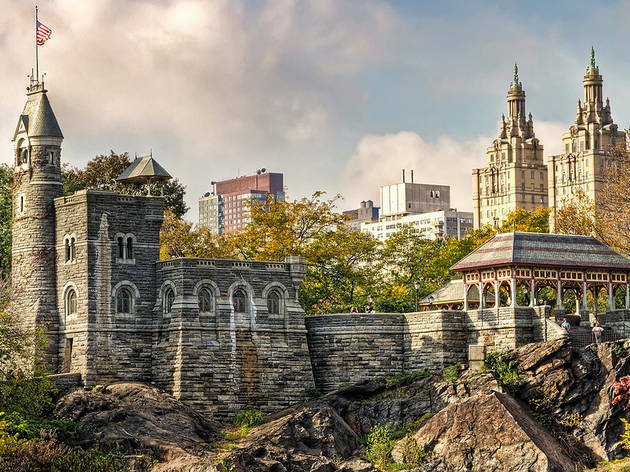 NYC’s scenic skyline outlooks can really take your breath away, which is why we’ve rounded up some of the most impressive observatories, where you can go and document those stunning sights on Instagram. 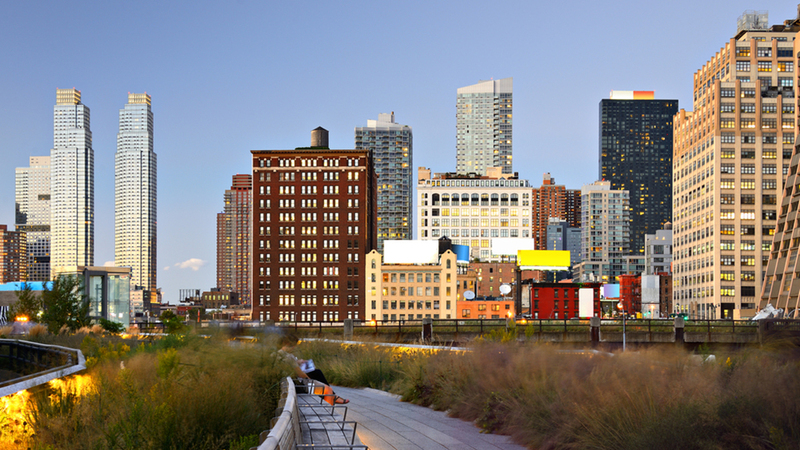 Be dazzled by the beautiful NYC buildings and architecture, nature and fantastic cityscapes of New York City at these rooftops, NYC parks and historical landmarks. 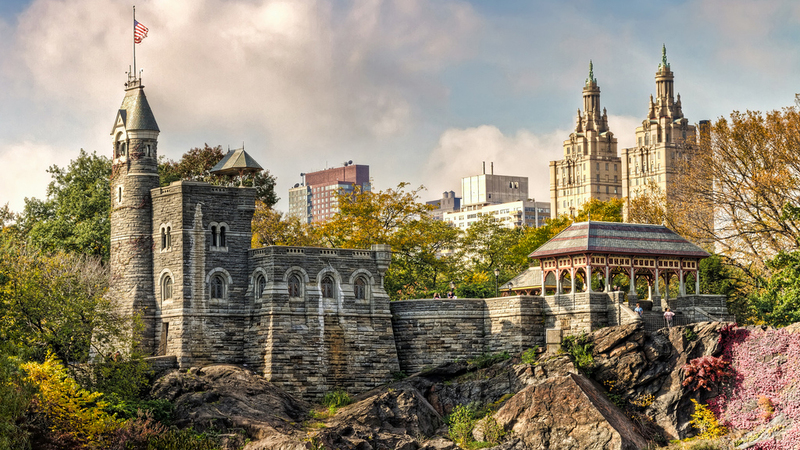 Tucked away in Central Park this whimsical Victorian Folly—a beautiful structure without a true purpose—was designed by Calvert Vaux, one of the park’s architects, in 1865. 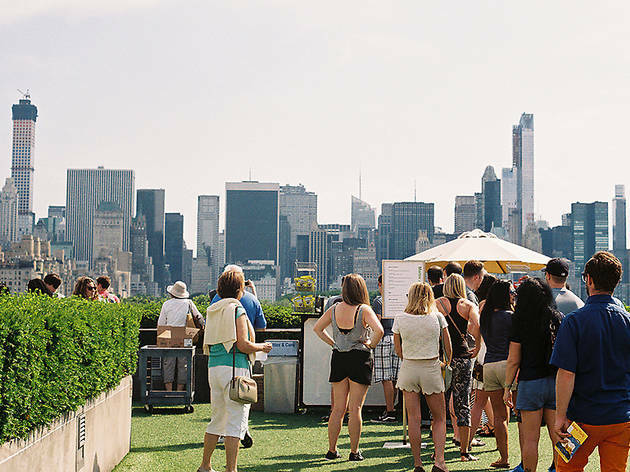 From its two balconies you’ll have the best views of the park’s most popular spots including the Delacorte Theater, the Great Lawn, Turtle Pond and the Ramble. For a closer look at Mother Nature’s handiwork, peer into the telescopes and microscopes provided by the Henry Luce Nature Observatory or borrow a pair of binoculars to start looking for birds and critters. 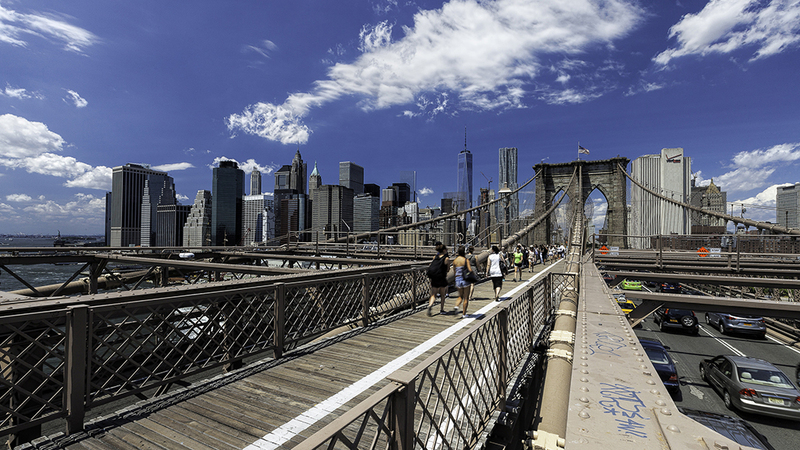 The 19th-century feat of engineering is itself a sight to behold. 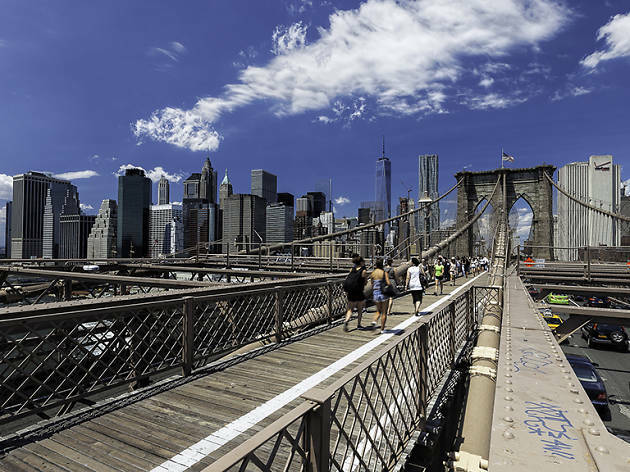 Appreciate the beautiful craftsmanship of the suspension bridge and expansive views of Manhattan, Brooklyn and the harbor along the landmark’s walkway. 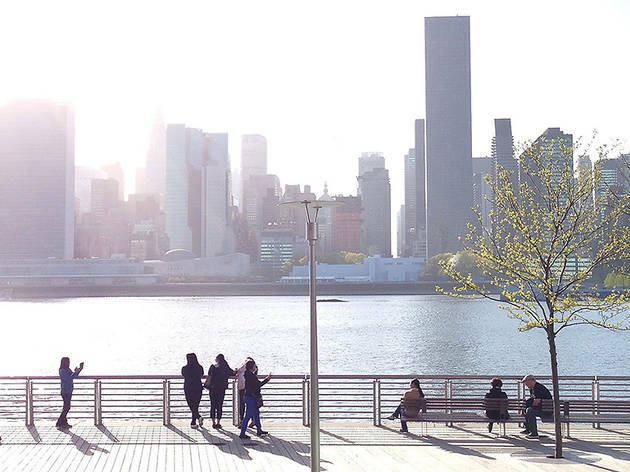 Some folks will tell you that you haven’t really lived in New York until you’ve walked or biked the 1.1 miles at sunrise, and with the way the sun hits the metal and reflects off the water, we couldn’t agree more. 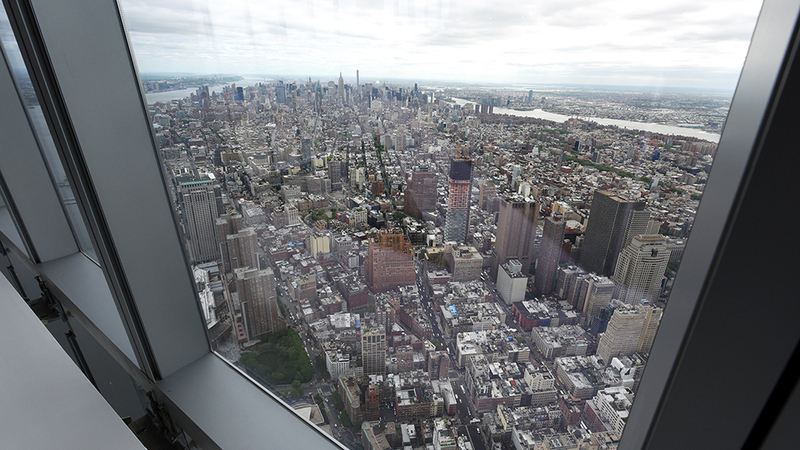 The most famous of the city’s observation decks deserves the hype. Brave the throngs of romantics and picture-crazy tourists feast eyes on the view that has left people in awe since the 1930s. 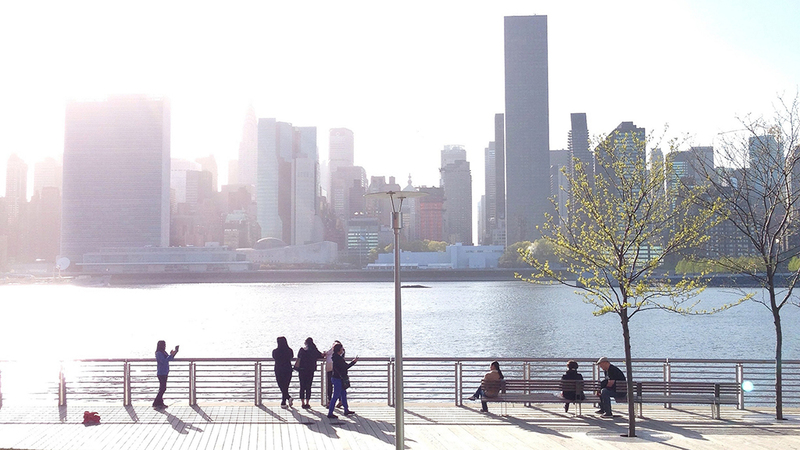 If New York’s cityscape doesn’t affect you, the crisp breeze on the 86-story-high open-air deck certainly will. 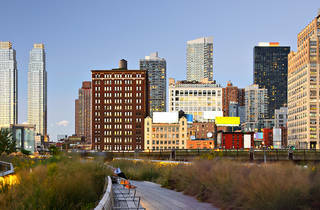 The 12-acres of waterside greenery, playgrounds and courts in this Long Island City park are made all the more glorious by the East River and the famous skyscrapers rising west of the gentle waves. Visit at sunset when the yellow, pink and orange skies blend together behind those beacons of modernity and watch the lights switch on at the Chrysler and Empire State Buildings. 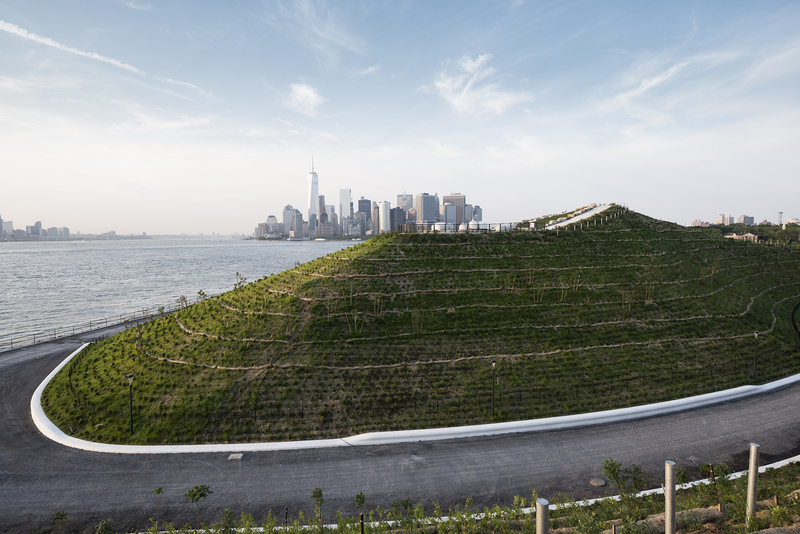 The Hills on Governors Island are alive but not necessarily with the sound of music. 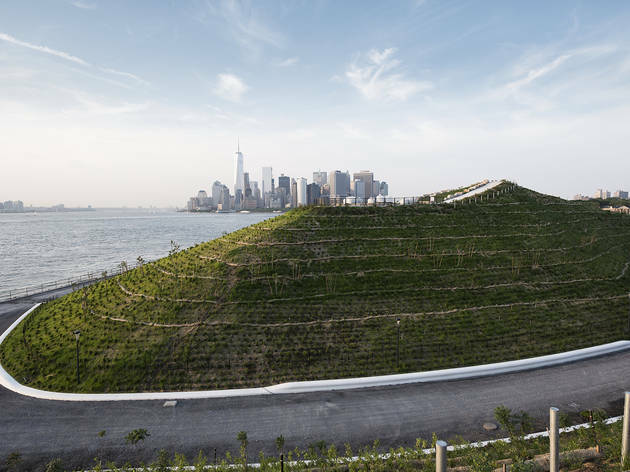 Instead, you can hear the hum of parkgoers and their bicycles as they tool around the island’s two-plus-mile promenade, the gleeful squeals of folks slithering down one of the four massive slides and the delighted gasps of visitors ogling perfect views of the New York Harbor and Lower Manhattan. While much of the green space’s landscape has changed (and, oh, is it hilly), preexisting features such as Hammock Grove and Picnic Point (which had been closed since 2012) are still major focal points. 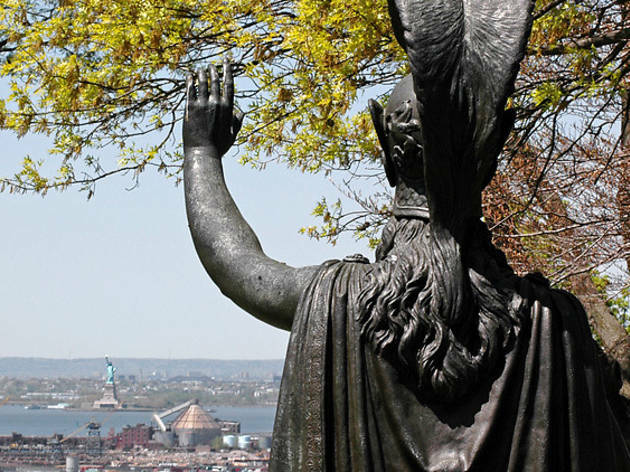 Travel through the rolling, sacred grounds where thousands of New York’s residents have found their eternal resting place to the highest natural point in Brooklyn, Battle Hill. 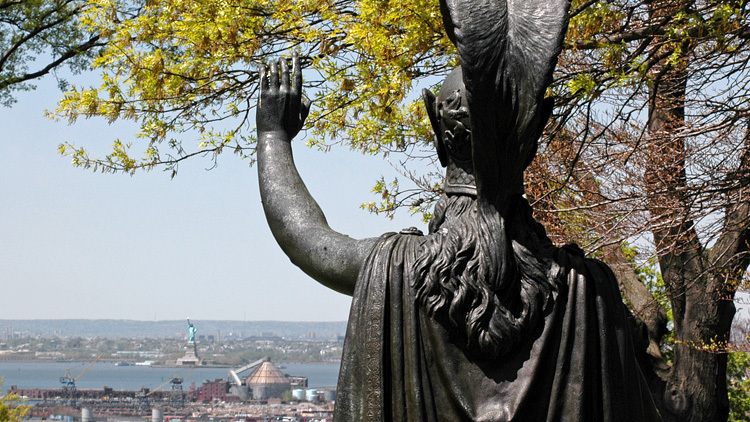 On this Revolutionary War site, where many early Americans fought for independence, a statue of Minerva, the Roman goddess of wisdom and war, appears to be waving at the Statue of Liberty, who is visible in the distance. When you see it, remember it’s okay to feel a bit patriotic. 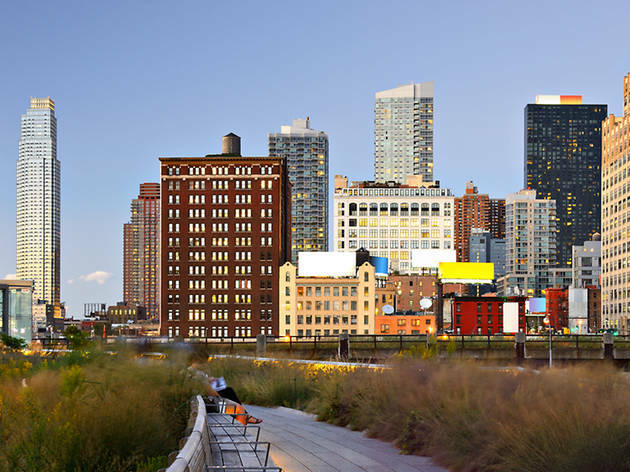 Walking along the abandoned elevated train tracks of the High Line not only gives you stunning sight-lines of lower Manhattan and midtown, but also lets you become part of the city’s skyline. 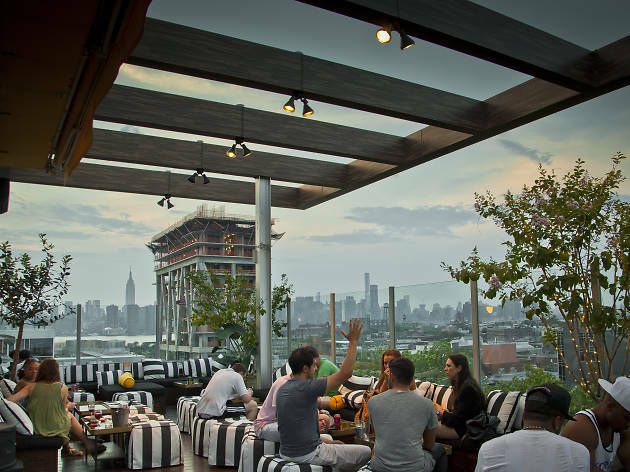 Feel the pulse of the city high above the trendy Meatpacking District, Chelsea streets and the area’s mixture of historic buildings and new developments—even more so if the guests at the adjacent Standard Hotel choose to leave their blinds open during a midday rendezvous. 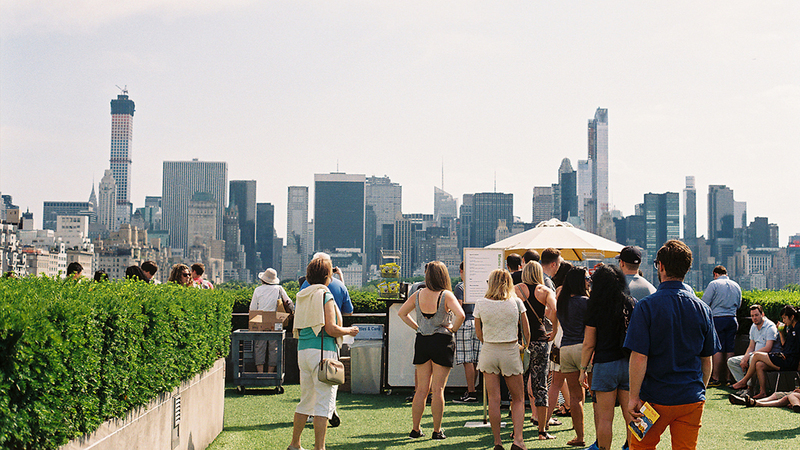 By all accounts, the Met is easy on the eyes—amazing architecture and design filled with one of finest art collections in the Western hemisphere—but you don’t have to know anything about antiquities or aesthetics to understand the wow-factor of the roof garden. 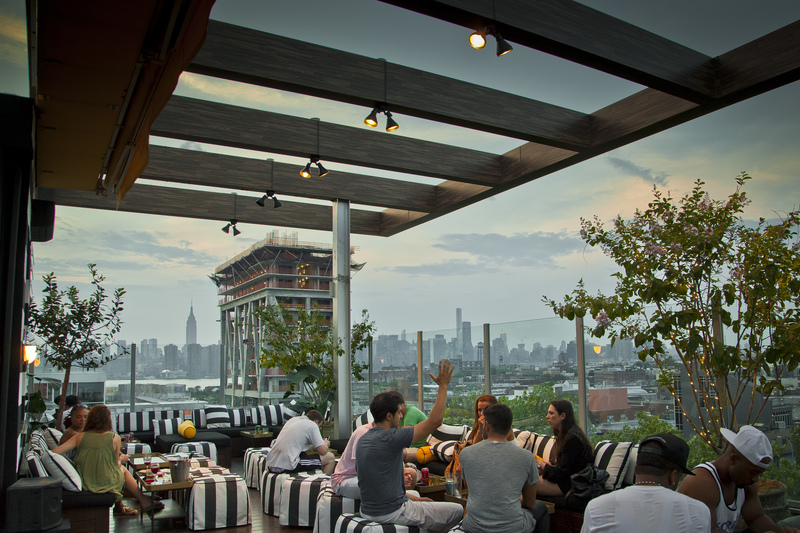 Down refreshing cocktails as you sip up the glory of Central Park and the Upper East Side below. 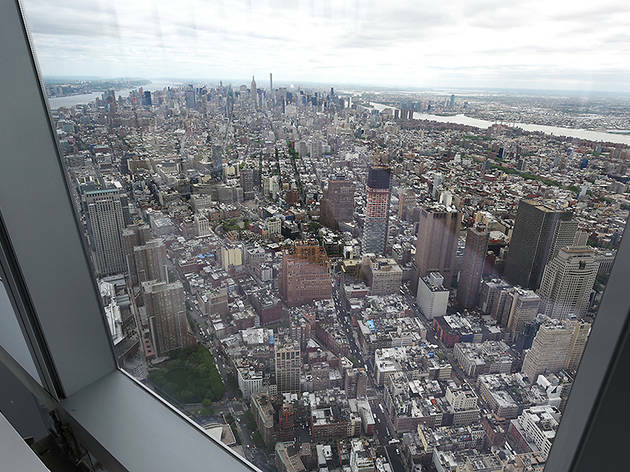 Since the highly-anticipated observation deck opened last May, crowds have clamored for the chance to ride the high-speed elevators to floors 100 through 102 of One World Trade Center. 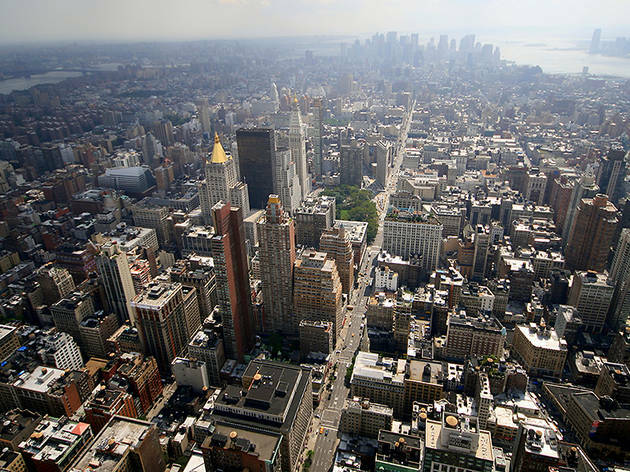 While it might seem a bit like a cheesy tourist attraction, there’s nothing that can compare to the panoramic views more than 1,250 feet above the city’s streets. Budget time to stay for a meal—the observatory serves three different dining options and all that “ooh”ing and “ahh”ing will leave you hungry. 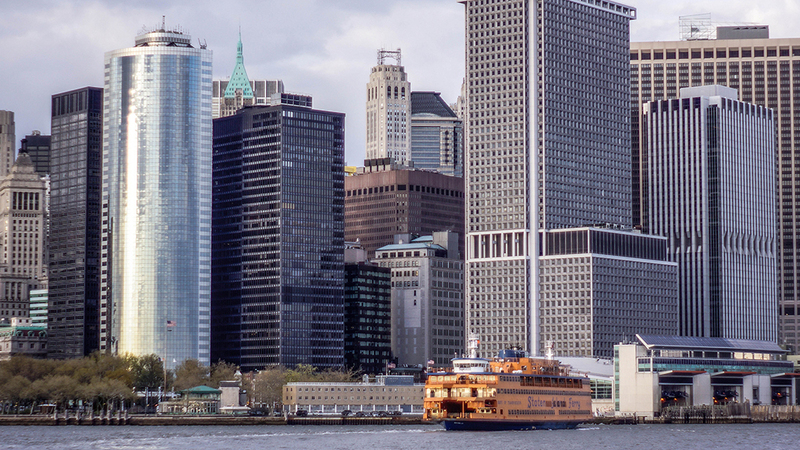 Every day thousands of commuters get to soak in New York’s most iconic sites without spending a dime. 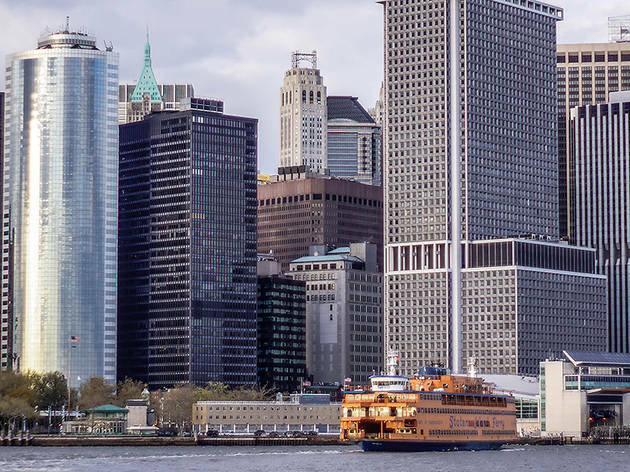 Whether you have business in Richmond County or just want to get up close and personal with the Statue of Liberty, hop on board this vessel and head straight to the deck for a breath of the Hudson River and dazzling views of Lower Manhattan, Liberty Island, Ellis Island and Governors Island. Looking for a view and a drink?